We want to highlight the good, bad and beyond amazing places we stayed in 2012. Some we researched extensively and some we showed up and booked on the spot. Some turned out horrifically and some exceeded all expectation. 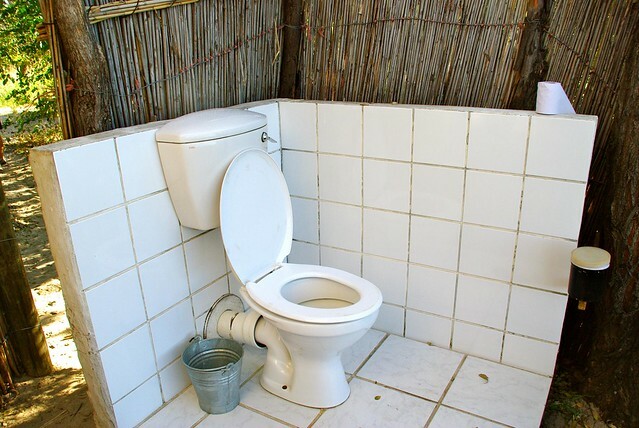 Today we want to focus on the best accommodations of 2012 and stay tuned for funny stories from the worst! We were drawn to Laird’s Lodge because of their family-run business and claims of having an amazing chef. What we didn’t expect was having our car washed while we ate breakfast, spectacularly designed rooms and service that blows away most hotels. 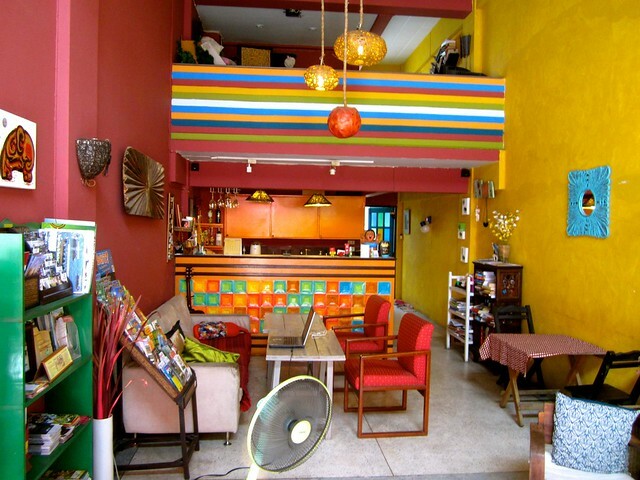 This hostel is full of personality and was by far our favorite traveling through SE Asia. Everyone working here has a passion for travel and their crazy chaotic city. We stayed in both Lub d Siam Square and Lub d Silom for a combined of total 3 weeks. Ngepi Campsite is known for its bathrooms. Each one is unique and every sign has personality with a side of attitude. Check out our photos of the campsite on flickr, they are hilarious. The outdoor showers were only surrounded by sticks and the toilets overlooked the river (you hoped no one paddled by while you were on the pot). Full Disclosure: I originally booked Ellibum based on the fact that I loved the name of the guesthouse. What can I say…I love Elephant Bums! When we arrived I knew it was a perfect fit. 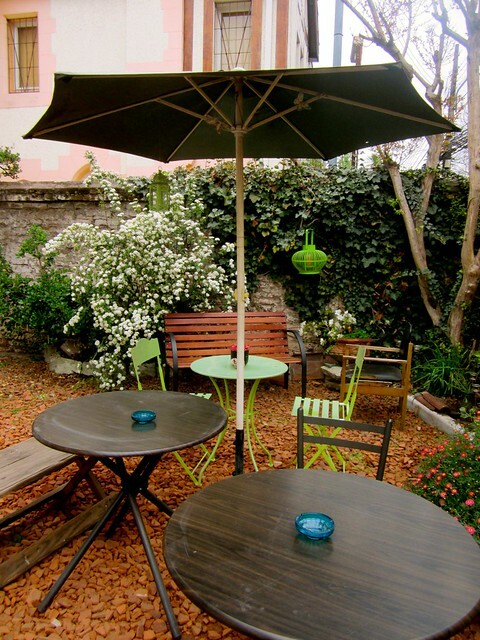 It is a small 2 room guesthouse with colorful walls and happy decor. Gade, the owner, is welcoming and an amazing cook (try the green curry and any smoothie on the menu is guaranteed to be delicious). We moved in for 2 weeks and ended up staying here a second time when we came back with our family later in the year. We are still in shock about being in Easter Island! 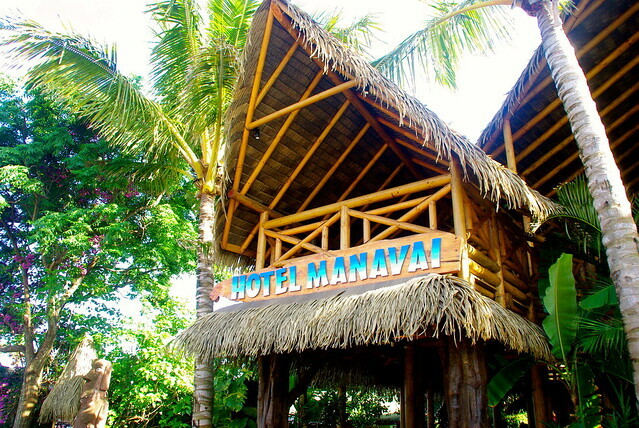 At Hotel Manavai, the breakfast was filling and we were in walking distance to anything in the main city center of Hanga Roa. Ecoventura is luxury at its finest. 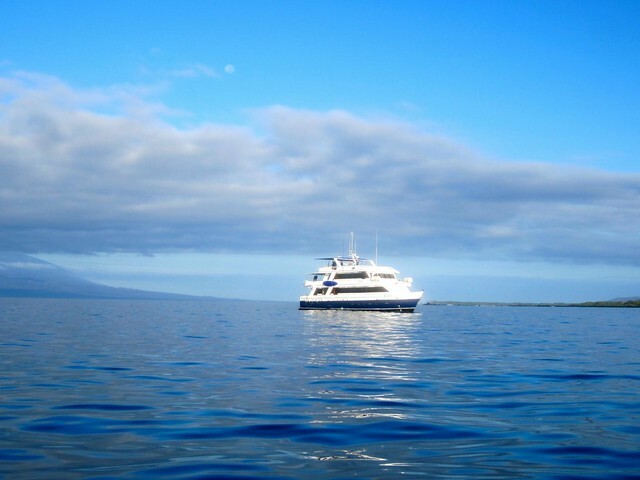 Visiting the Galapagos is an incredible trip that I truly believe should be experienced with a great crew. They took care of everything for 7 days and especially kept us stuffed full of food for the week. Castillo Surfista opened in January 2012 and was already rated #1 on TripAdvisor by September. We slept some of our best sleep in these beds. Duke, his skateboarding dog was also one of our highlights at Castillo. This California native obviously knows what travelers want and keeps a laid-back atmosphere throughout the entire hostel. After 10 minutes of checking into Jade Hotel, we were down at the reception desk asking to extend our stay. Unfortunately they were booked full and for good reason. We were welcomed with fresh juice, sliced mango and warm smiles. Everyone worked here acted as if they were working at the Ritz, their concept of high-end service was incredible and we only paid $15 for one night (including breakfast). 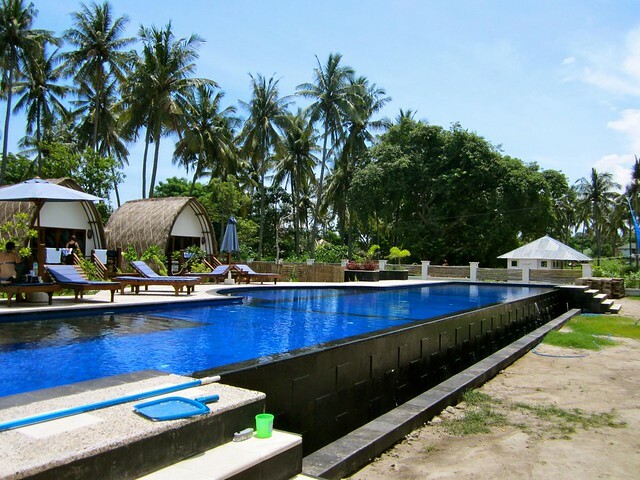 Through the power of social media, searched Twitter and found a recommendation from fellow bloggers staying at Bali Moon and we quickly booked with them for a week. The highlight of Bali Moon was the breakfast. 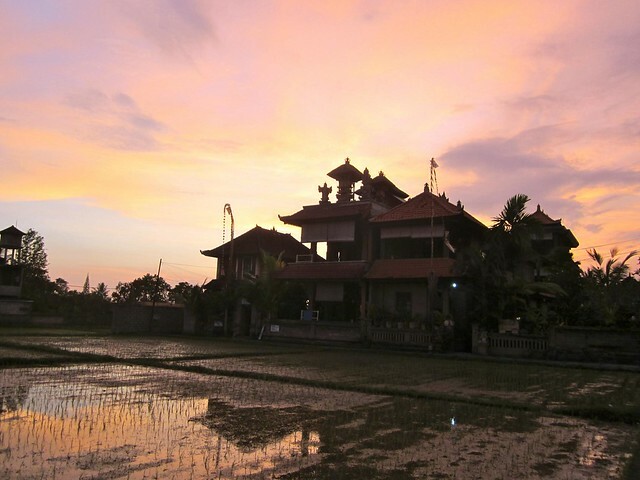 Every morning a different breakfast was brought to the lanai and you ate overlooking the rice paddies. Made and Warung didn’t speak much English but their warmth and care in hosting was felt through how they ran the guesthouse. 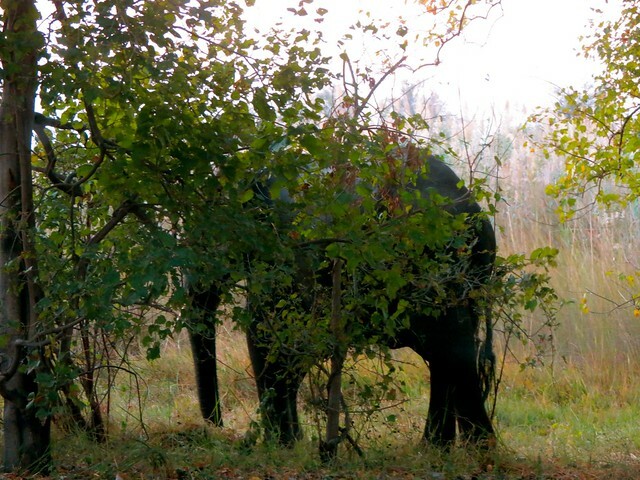 Can you see the elephant hiding in the bush? This was less than 10 feet from where our car was parked for the night. Every evening around 4 pm a group of 8 elephants would eat dinner around the trees surrounding our tent. Yes, it bothered them when we cooked and ate our own dinner (you don’t want to make a 10,000 lb elephant mad), so we spent 2 nights eating dinner in our car fascinated and terrified as they moved around us. After a few weeks on Bali we were in search of a more remote island and were recommended the Gilis. We fell in love with Gili Air at first sight. Within 30 minutes of checking in we were signed up to get our diving certifications at Oceans 5 Dive. If you are going to get certified, we recommend doing it somewhere with awesome diving. Indonesia was a great place to learn on beautiful reefs full of sea life! 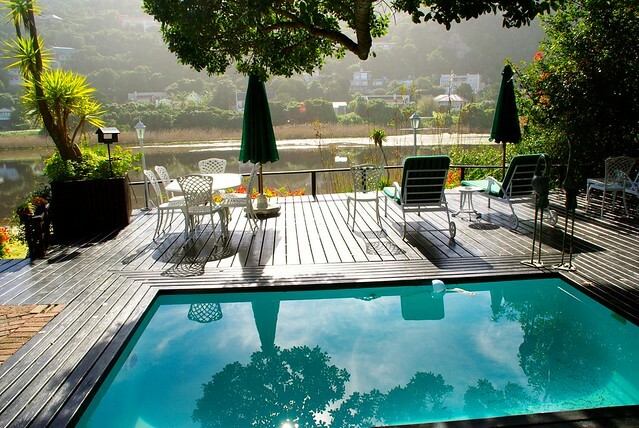 Moontide was a guesthouse we came across and instantly felt it would be the perfect romantic getaway along the Garden Route. 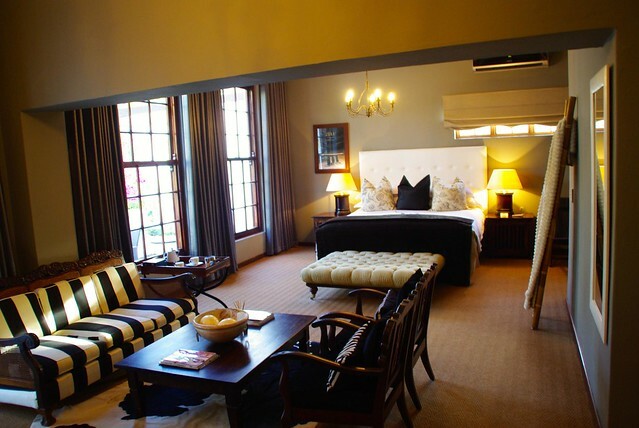 The mornings were wonderfully quiet and the rooms were immaculately decorated by Maureen, the owner. The beds included a warming blanket (perfect in the winter!) and the breakfast was delicious! Everything at Hostal Chimenea just worked. It didn’t have one thing that made it stand out more than the other, but we actually extended our stay here an extra week because we were so comfortable. The price ($8 pp) worked, the beds were comfortable, the breakfast was cheap and tasty with a beautiful view of the surrounding mountains. Sleeping in a lodge 4 hours deep into the Amazon Jungle was surreal. 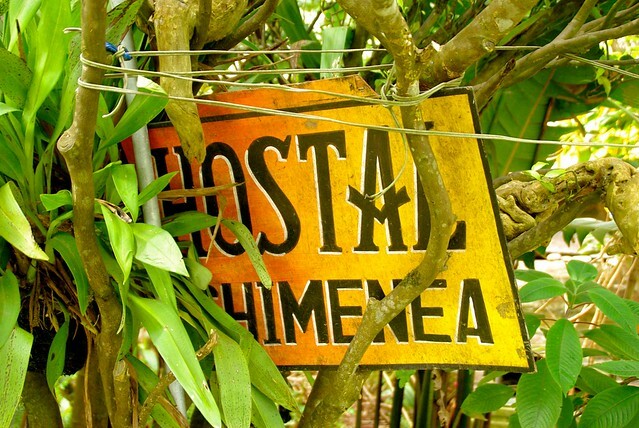 Unlike our most remote hotel in Easter Island, our rooms were mesh at the Tahuayo Lodge that welcomed in the smells and sounds of the jungle. It was surreal to feel as if you are sleeping outside with the animals and incredibly peaceful to wake up to the sun. 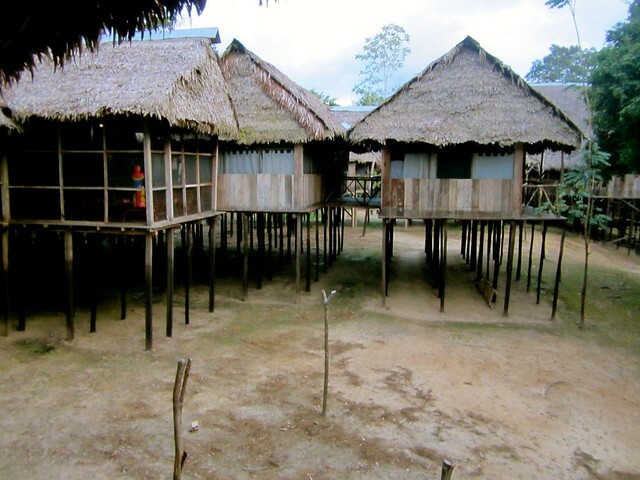 The whole complex is built up on stilts, and even though the lodge is quite a ways back from the river, you could see the high-water marks on the buildings from the rainy season. Where do you want to stay in 2013? I’d love to stay in every one of these places! 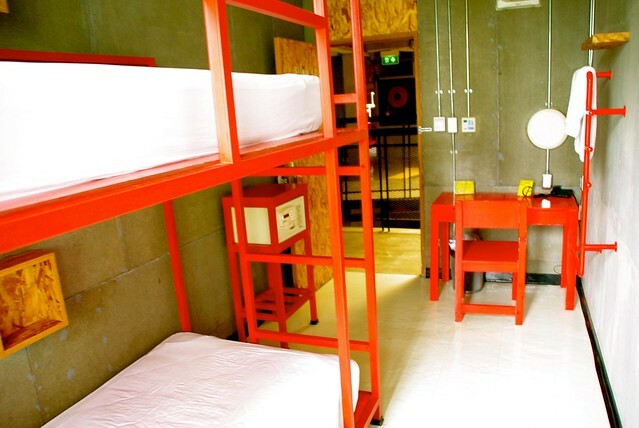 It’s amazing how much personality hostels and hotels can have and how much it affects your whole stay. I agree! We don’t care if it’s called a hostel, guesthouse, hotel or resort – we love finding places that have a personality when we travel! That first one is absolutely gorgeous! Lairds Lodge was beyond amazing – One of our favorite stays! We will return next time we are in South Africa! Ooooh, we’ll be hitting up Thailand in a month or so, and I’ll be noting down the places you stay as they look absolutely wonderful! What a great resource this is – it’s so nice to find places that make your stay something special! I’m jealous! We are already trying to figure out how Thailand will fit into our next 12 months! Eat lots of curries and check out Lub-d and Ellibum, they are both unique and fabulous! Although we’ve never met, I’ve enjoyed reading your blogs this past year. I’m planning a trip to Greece this summer, and I’m wondering if you could share your top sources for determining accommodation when traveling. I’ve used Lonely Planet–lots–but I’m wondering if you have specific websites or other sources that are always your first go-to sites. Thanks.